Ariana Grande's highly anticipated fifth album, titled Thank U, Next, was released on Feb. 8. Many of the songs have lyrics that have caused fans to speculate they are about some of Grande's exes, and the track "Ghostin" in particular has quickly come into the spotlight. 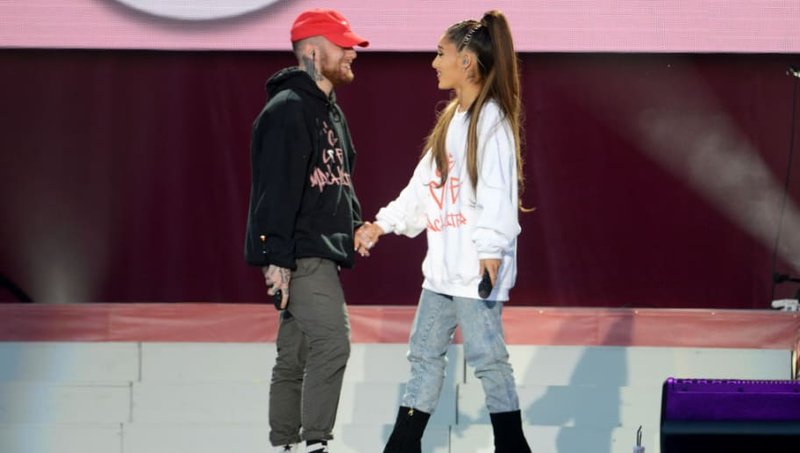 "Ghostin" is believed by many to be about Grande's late ex, rapper Mac Miller. While the singer has not come out and confirmed the association, she did respond to a tweet last month questioning the meaning of the song with a response vague enough to spark further conversation. feeling badly for the person you're with bc you love somebody else. feeling badly bc he can tell he can't compare.... and how i should be ghosting him. Miller and Grande's relationship was widely supported by fans, and he was mourned heavily by her fan base when he passed. Naturally, this emotional connection to the rapper made fans feel equally connected to the track. The speculation went further by the fact that the instrumental section of Ariana's song sounds almost like a sample from one of Miller's songs, "2009." In addition, some of the lyrics in the song seem to be too fitting for Grande to be referencing anyone else. There are even some fans who speculate she is talking about how her mourning of Mac negatively impacted her and Saturday Night Live star Pete Davidson's relationship. At one point in the song, she sings "I know you hear me when I cry, I try to hold it in at night, while you're sleepin' next to me," which is believed by many to be a reference to her grieving process following the rapper's death while she was living with Davidson in their Chelsea, Manhattan apartment. Another lyric reads, "Oh I wish he were here instead, no one that living in your head, he just comes to visit me when I'm dreaming every now and then," referencing seeing Mac in her dreams after his passing. It's no surprise that fans have latched on to the raw emotion Grande is conveying through this song, with many citing it as their favorite on the album. Many feel very connected to Grande through her sharing this intimate message, and it seems to add a layer of intimacy to the album for many fans. The positive reactions to this song seem endless, and the emotion Grande was able to portray definitely makes it a stand out hit.